You are one of the roughly 50 million U.S. adults suffering from arthritis. And while the pain and stiffness have never entirely ceased, you’ve done a fair job managing your condition by taking over-the-counter pain relievers and anti-inflammatory medication and reducing physical activity that causes severe discomfort. But lately, your arthritis seems to have gotten worse. Physical activity seems impossible-even dressing causes pain. You’ve seen your doctor, and he’s decided your best course of action is a joint replacement. It’ll take time and therapy to heal, he explains, so he’s recommending a stay in a short term rehabilitation facility. In planning your surgery, you’re given a list of rehabilitation centers in the area, and on that list is Kendal at Oberlin Stephen’s Care Center. You’re familiar with Kendal, and you like the idea of recovering somewhere so close to home, but this is your first major surgery, and you want more information on how it will work. Once you’ve selected Kendal at Oberlin for your care, the social service and nursing teams reach out to the hospital where you are having your surgery to begin planning for your arrival and care. Following your surgery, you will receive a visit from a nurse liaison. This nurse will visit just to get a baseline on how you’re doing and to go over any concerns you might have with your arrival. This helps Kendal staff to have the appropriate equipment and supplies ready for you when you arrive. The staff keeps in contact with the hospital, family members, and you throughout your hospital stay. Arrangements will be made for your transportation from the hospital to the care center and all paperwork will be coordinated. Kendal staff meets you as soon as you arrive at the Stephen’s Care Center. They help you unpack and get settled in to your room before a nursing assessment is completed. This assessment is a full physical assessment as well as an interview. If there is anything that you need from home, we can help you create a list for your family member. We also do an inventory of all of your personal items such as hearing aids, glasses, wallets, jewelry, and clothing items. We will also ask about any dietary restrictions that might be in place. Following the nurse’s assessment, you will be met by an admitting physician who will assess your physical, occupational, and speech therapy needs. The physician’s assessment will help to shape the therapy team’s personalized plan for your recovery. Finally the social service staff will meet with you to review your social history, advanced directives, discharge plans, and more. Social services can answer any remaining questions you might have about staying in the care center at that time. The usual rehab stay length in the Stephens Care Center is around 10 days to one month in length. As your time to leave the care center nears, you will be included in a discharge planning meeting held to make your transition home as seamless as possible. Just as before you were admitted, staff will help keep family members informed, coordinate travel, and help to organize all medical paperwork. Making appropriate diet choices and staying healthy with exercise can help prevent declining health along with injuries from falls. In life, however, nothing is for certain. Car accidents, exercise or age related injuries, and even certain infections can land a person in the hospital for days or weeks at a time. When you choose short term rehabilitative stays at Kendal at Oberlin, it’s not quite home. But you are in an aesthetically pleasing and home-like environment with all the resources that will help you to heal faster and return home safely and comfortably. Here are answers to some frequently asked questions about our program here. 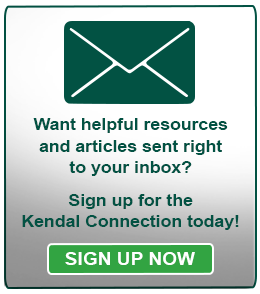 What is short-term rehabilitation at Kendal at Oberlin? Kendal at Oberlin’s short term rehabilitation program offers physical, occupational, speech and aquatic therapies to Kendal at Oberlin residents, Kendal at Home members, and older adults in the greater Cleveland community. The program has 75 health and support personnel and 42 certified rehabilitative beds in private rooms. It is housed in the Stephens Care Center, a five star Centers for Medicare & Medicaid Services facility and a 2014 U.S. News & World Report Best Nursing Homes. 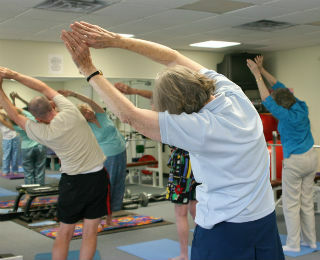 However, short term rehab patients often undergo therapy in a variety of settings. How is Short Term Rehab Different from Skilled Nursing? The Stephen’s Care Center offers both short term rehab stays and skilled nursing. A short-term rehab stay is when we expect a patient to be recovering from an acute illness or surgery. Once the patient has recovered with therapy, they will be returning home. For a skilled nursing stay, the patient generally has a long term, chronic health condition with the expectation that we will not be working on a discharge plan and Kendal will become their new home. What Health Conditions are Treated Most Often? There are a number of distinguishing features about Kendal at Oberlin’s short-term rehab program, but to sum it up in one feeling, it is the feeling of community and home. Even for those who are not Kendal at Oberlin residents, the short term rehab program offers a caring atmosphere that can’t be beat. Kendal’s Stephens Care Center specializes in person-centered services, but you’ll feel as if you’re part of a bigger place because of the large community. Patients that come in for a rehabilitation stay are welcome to attend community lectures, concerts, plays, and talks on campus. The caring staff feels a real sense of pride when the services they provide enhances people’s lives and make their paths to recovery a little easier. To learn more about short –term rehabilitation services at Kendal, our social services staff will be happy to connect with you.